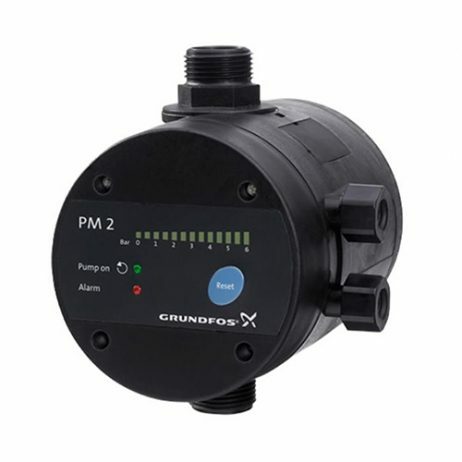 The Grundfos PM 2 pressure manager is designed for automatic start/stop control of Grundfos pumps and other water supply pumps. The PM 2 is the all-around control solution offering adjustable start at 1.5 – 5 bar. 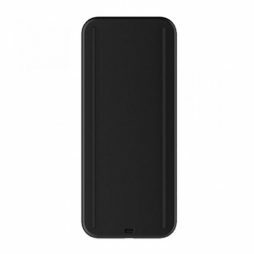 This enables customisation to different types of installations and desired comfort level. The start pressure is set by means of DIP switches located behind the control panel whereas the current pressure is indicated on the LED display on the front of the PM 2. The PM 2 starts the pump when the start pressure is reached, and the pump keeps running as long as there is a flow. The PM 2 can be optimised for operation with an external pressure tank by enabling the 1 bar differential-pressure function. This function significantly reduces the number of operating hours of the pump in installations with the pressure tank. The PM 2 has an auto-reset function which can be used to automatically restart the pump. 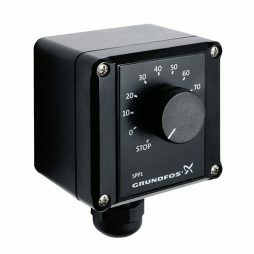 External potentiometer Grundfos for wall mounting. 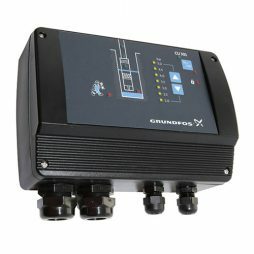 The Grundfos GO Remote is used to establish wireless connection to a Grundfos product, using a standard Android or iOS platform.